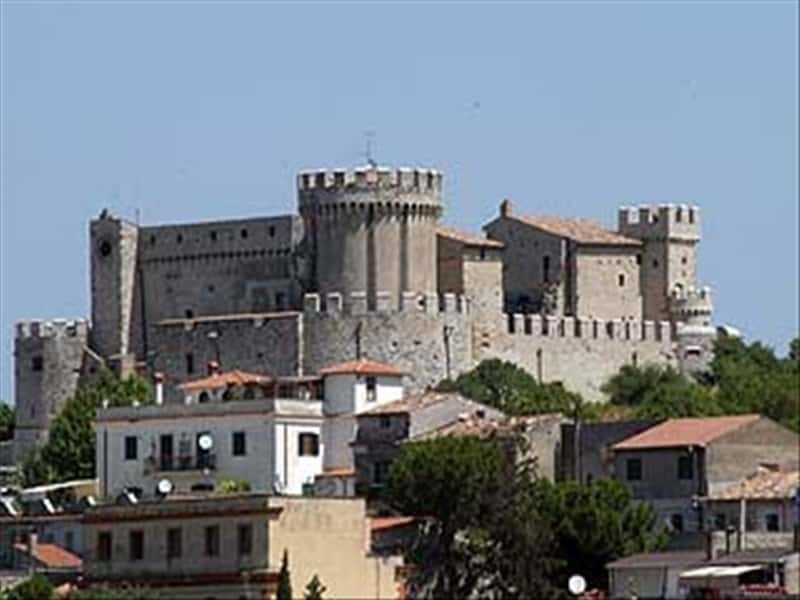 Small town in the province of Rome, situated on the slopes of the Monti Lucretili in the Sabina area, Nerola is located where, in pre-Roman times, was situated the ancient Regillo, an important military city for its strategic position along the Via Salaria. Born in Regillo was Claus Atta, the founder of the Claudia family, from which descended the Emperor Nerone. The town's name derives from the Sabine dialect "ner" (strong, vigorous). In the second half of the X century, the rector of Sabina, Benedetto Crescenzi, had Castrum Nerulae built, which belonged to his family until 1235, when it passed to the papacy. The town was granted in fief to the Orsini, who built the current castle; in 1644 it was ceded to the Barberini, later to the Colonna of Scirra and finally, to the Lante della Rovere. - the old Pharmacy Palmucci, within which are still well preserved XIX century furnishings and tools. This town web page has been visited 37,314 times.